The Burger Lift (*Patent Pending) is a device designed to elevate the burger above the plate and give one of America’s favorite foods a proper throne to rest upon. It is constructed from stainless steel and is dishwasher safe. The design is both lightweight and easy to grab, but sturdy enough to withstand the test of time. The Burger Lift was conceived to give you a place to rest your burger to avoid all the sogginess and let you enjoy every bite of your favorite meal from start to finish. It would raise the burger a fraction of an inch above the plate and allow the burger to elevate above the mess. The next big question was how it would look. Matt Hureau (MH): Matt is the Inventor of the Burger Lift. He was born and raised in New Hampshire and currently lives in New York City where he teaches 5th Grade Math in the Bronx. Jasmine Katatikarn (JK): Jasmine is one of the co-founders of the Burger Lift and is currently the Head of Production and Design. She was born in New York where she currently lives. Mike Tanzillo (MT): Mike is one of the co-founders of the Burger Lift and is currently the Head of Sales & Marketing. He was born in Chicago but found his way to New York by way of Columbus, Ohio and Savannah, Georgia. MT: I am a big fan of the dry aged burgers. The flavor and texture you get out of that process is second to none. MH: Maybe not quite a style, but I love a burger with a good char to it. The right seasoning and a crunchy char is amazing. JK: A Juicy Lucy burger. They are messy, but I love having a good burger with cheese oozing out the center. MT: My grandfather owned a hot dog stand on the south side of Chicago. As far as I was concerned, there was no better place to get a burger. MH: The cheeseburger deluxe plate at Bessie’s Lunch in my hometown in NH definitely kept me well nourished into my teens. JK: My parents didn’t let me eat burgers as a kid … sad, but true! MT: I have three that consistently show up in my dreams. All three are in Soho and I am planning on hitting all of them for my birthday this year. That much deliciousness might prove to be fatal, but it would be worth it. MH: I’ve only had the Emmy Burger from Emily in Brooklyn once, but it left a serious impression. I can’t wait to get back there another time. JK: A juicy blue cheese filled juicy lucy cooked medium rare. I wake up hungry dreaming about it. MT: I have several trusted, burger-loving friends that claim that the burger at Holeman & Finch in Atlanta is the best burger in the world. I may need to head south just to check it out. MH: I’ve been meaning to splurge on the Original db Burger from db Bistro Moderne… It’s not necessarily my favorite style, but it gets points as the forerunner of the gourmet burger movement. MT: For me, it is all about the quality of the meat. The toppings are great, but what makes a truly memorable burger is tender, juicy meat that is cooked to a medium-rare perfection. You cannot have a great burger without a great patty. MH: I don’t have too many secrets in execution, but my biggest challenge when making a burger is to be sure not to overcook it. Medium-rare, please! JK: Quality ingredients and the right cook. MT: I know there are a lot of burger enthusiasts out there that say you should never put this or that on a burger. And I get where they are coming from. But you know what….this world is filled with taxes and mortgages and traffic jams and people hellbent on ruining your day…so if putting A1 sauce on your burger makes you happy…I say go for it! Just leave my burger alone! MH: I’m cheating here, but: A knife and fork. Put down the utensils and #liftyourbuns, people! JK: To each their own .. do what you want with your own burger. MT: When I first read this, my mind immediately jumped to famous people I would love to meet. I would love to have a burger with Muhammad Ali, George Washington, or Leonardo Da Vinci. But burgers are all about enjoying a meal with the people you love, so I will go with my brother, PJ. I always have a blast when we get together and we are comfortable enough around each other that he knows not to get offended when my burger from Raoul’s arrives and I completely stop paying attention to what he is saying. MH: I know President Obama is a big fan of burgers. I’d like to bring him to Emily and have a chat over a couple Emmy Burgers and a pizza. JK: I would go with Matt and Mike. We’ve been through a lot together developing the Burger Lift and I can’t have a burger without thinking of them. I would go to Burger & Barrel because I have great memories of all of us having a burger there in the beginning of all of this and just savoring how good the burger tasted. Please use this space to talk about or plug anything else you want: The best burgers in the world are the juiciest burgers. With a good, juicy burger, one great bite can send a pool of juices and sauce down onto your plate. Putting the burger down onto that mess would lead to the dreaded soggy bun. Do you just keep holding the burger until you’re done? Do you set it on top of the fries? Do you awkwardly balance it on the side of the plate? The best solution is the Burger Lift. The Burger Lift will elevate you burger above the plate and keep your buns dry, allowing you to enjoy your favorite meal from start to finish. People, Burger integrity is of grave importance and you need to protect your buns from the tyranny of soggy buns. 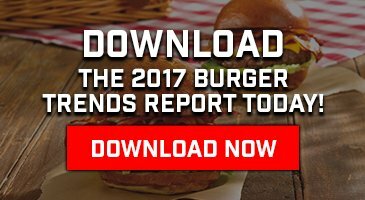 If you’ll be attending the Timeout Battle of the Burger in NYC this year, you’ll get a chance to meet Jasmine, Matt & Mike. They will be doing Burger Lift demonstrations at our table during the event with Burgers courtesy of GENUINE. You’ll get to witness first hand, the power of having your buns lifted. We will be giving away all kinds of prizes during the event so make sure it’s on your list of things to do along with eating all 20 Burgers that will be featured at the Battle of the Burger. Get your ticket now and be sure to visit our booth to register to win. Not attending the Timeout Battle of the Burger? You can still save your Burger buns! Go to www.burgerlift.com now and order a Burger Lift.